Learn About Our Home Selling Services | Joe Hayden Real Estate Team - Your Real Estate Experts! The following is an overview of our home selling services and how we make it easy for buyers to fall in love with your home. That’s such a powerful concept to understand when selling a home. We want to elicit a strong, positive emotional response from potential buyers. In fact, we want them to fall in love with your home, so that they are willing to negotiate reasonably and fairly to purchase your home. Our job is to do just that - make it easy for buyers to fall in love with your home and here is how we do it. We divide the process of selling a home into 5 major steps - Staging, Photography, Pricing, Market Exposure and Contract to Close. Each step includes a variety of different elements that to be most effective must be customized for each home and transaction. There is no standard or routine sale because each home is different and the needs of each seller are different. We believe that our best service happens when we objectively analyze each individual home and when we understand the specific needs of our clients. To begin the process of selling a home, we start with an interview at your home that can be as formal or as casual as you wish, the point is that there is no pressure at all. We consider it a conversation that allows all parties to get to know one another and it gives us an opportunity to highlight our services while discovering your specific needs. Once we have seen your home in person and have discussed your needs in detail, we will then be able to tailor our services in such a manner so as to maximize our effectiveness and to focus on selling your home for a price and terms that are acceptable to you. This is also when we will discuss a game plan and a timeline designed to meet your needs. As a quick aside, no matter which of our services you utilize, whether it be seller or buyer representation, or both, you will always remain in control of all decisions. We will always work together with you towards your goals and we will do our job as promised, but we will not make any decisions or take any action that could negatively affect your sale without your express involvement and agreement. There are so many variables that come into play when selling a home, so we will always be giving you professional opinions and guidance based upon extensive experience, but we will not work against your best interests, especially just to earn a commission. We take great pride in our work. We have found that to make it easy for buyers to fall in love with your home, we need to first prepare the home itself for marketing and showings and that means staging your home. During this process, we will work with you to help your home look great in photos and in person, plus we will give you guidance on how to remove potential objections from buyers along the way. Basically, you want to do everything you reasonably can for the least amount of time and money to make your home move-in ready for a buyer. After the home is staged, we schedule professional photography. Having your home photographed by a skilled photographer is a critical step in marketing. Your home must stand out online and we have found the best way to do that is through great photos. It is very easy for a buyer to fall in love with your home when they see it online and it is well staged and beautifully photographed. Prior to marketing your home, you must decide on a pricing strategy. There are quite a few factors to consider when pricing your home and there is a significant amount of analysis that goes into making pricing decisions. We will continually update you with fresh market data with which to make pricing decisions. Pricing is the #1 variable under the control of a seller when selling a home, so you want to make certain that you make sound, reasonable decisions when formulating your pricing strategy. Part of our job of making it easy for buyers to fall in love with your home is to be an objective voice so that we can discuss your pricing strategy and you can benefit from our experience. 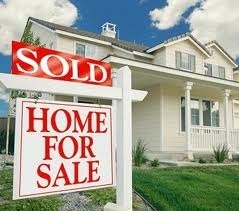 One of our highest value services to our clients is our ability to maximize your market exposure when selling your home. Getting the best possible price and terms for your home generally requires exposing your home to the maximum number of potential buyers. We have extensive experience controlling and managing the various outlets through which we will market your home, including all of the major portals. It is critical that your home is found in the most likely places that buyers will search and we have established relationships with the best search platforms. 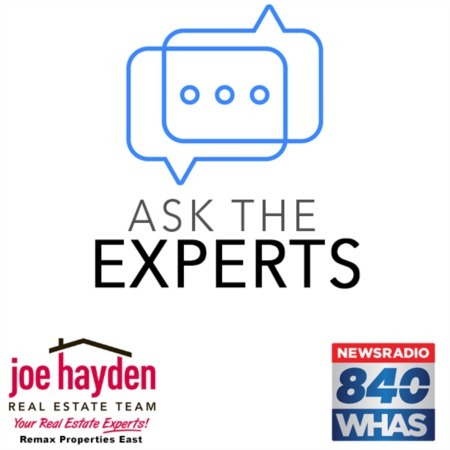 In addition, our main website, JoeHaydenRealtor.com, is consistently one of the most popular and visited real estate websites in the Greater Louisville Area. You can easily verify this for yourself through online searches. It is not an exaggeration to say that a majority of home buyers who are searching for a home in the area visit our website at some point along their journey. We leverage this asset to help drive motivated home buyers to your door. One of the most powerful components of our marketing strategy is that we literally have coverage in all of the top searches because if our main site does not appear in one of the top three spots, it is almost certain that another site with our branding does appear in the search results. This helps us make sure your home is correctly presented to as many potential home buyers as possible. Once we have staged your home, professionally photographed your home, correctly priced your home and effectively marketed your home, you can expect to attract the attention of qualified, enthusiastic home buyers, and this is when things really get exciting with showings. A major benefit of working with our team is that we have many agents who come into contact with qualified buyers all the time, so we absolutely direct the appropriate buyers to your listing so that they may give it fair consideration. Offers will likely follow the showings and that begins negotiations. Once we have secured an accepted contract on your home, the contract to close process begins as we work through the terms of the contract preparing to close. Our administrative staff will assist all parties by helping coordinate this process and keep all parties informed about the progress of the transaction. This can be very comforting to you because frequent communication with our team will help you stay informed and plan as necessary for closing. After all contractual terms are met and all parties are ready to finalize the transaction, a closing will be set so that you can officially sell your home to your buyer. This is a very satisfying time because a lot of hard work will have gone into the process of selling your home and signing the deed and handing over the keys is a tremendous accomplishment. We get great satisfaction helping you during this exciting time and look forward to meeting and exceeding your expectations. Please do not hesitate to contact us if you have any questions or would like to interview us for our services.